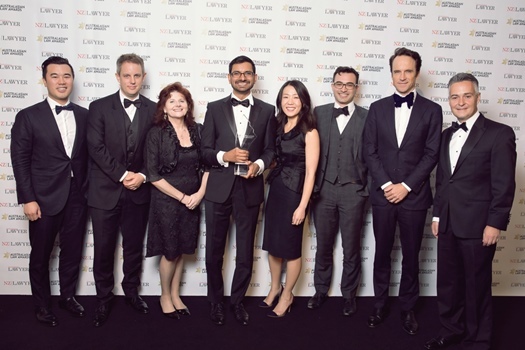 For 2017 and 2018, the Macquarie Capital legal team won the Investment Bank In-House Team of the Year award at the Australasian Law Awards. What’s the secret to this team’s success? Jonathan Augustus, senior manager and legal counsel, says two guiding principles help the team maintain its edge. “One of the key principles for our team is to maintain an adaptable skillset and broad base of knowledge in line with the evolving nature of the Macquarie Capital business. Our business is diverse and constantly adapting to the broader financial, economic, and regulatory environment,” he says. The principles are especially vital given the breadth of Macquarie. The business undertakes a range of services and activities – including financial advisory services, debt and equity capital markets services and principal investing – across a variety of sectors, ranging from technology and media to infrastructure and energy, Augustus explains. “As the business has evolved over the years, so have the demands of the legal team, and our team has placed great importance on ‘re-skilling’ to ensure we are across the various areas of law that impact our business. An example of this is the growing significance of renewable energy projects in both our advisory and principal investment businesses, which has resulted in an emphasis on developing the team’s skillset and knowledge within this area,” he says. What other advice can he give legal professionals, especially fellow in-house counsel? Bringing home the award for two years in a row gave the team two things, Augustus noted. 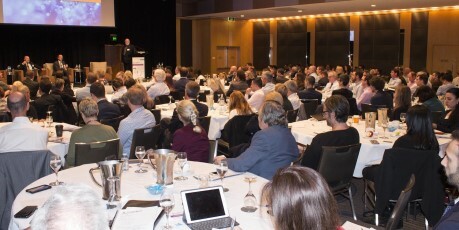 The 2019 Australasian Law Awards, supported by event partner FTI Consulting for the fifth consecutive year, will celebrate the best of the best at the Star Sydney on 23 May. Jonathan Augustus proudly holds the Investment Bank In-House Team of the Year trophy and celebrates with the Macquarie Capital legal team at the 2018 Australasian Law Awards.